CI Games released a trailer explaining what players should expect in the PC open beta for Sniper Ghost Warrior 3 this weekend. The PC beta taking place this weekend will over two single-player missions that take place in the Republic of Georgia. 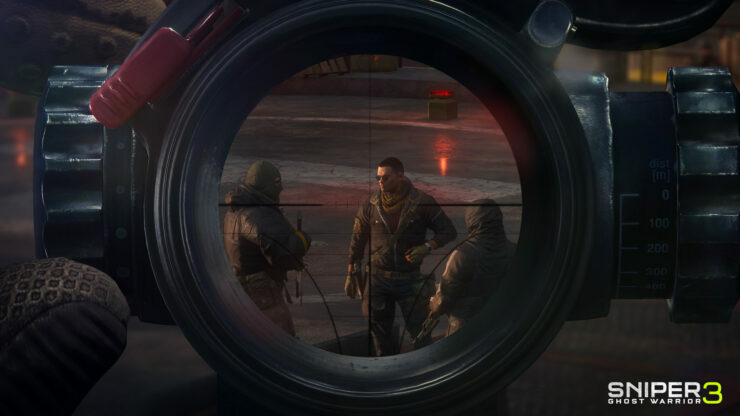 Sniper Ghost Warrior is an open-world stealth game that puts in the role of an elite sniper. The Separatists control a large antenna array, which lets them use satellites to track enemy movements and communicate with distant outposts. Jon needs to infiltrate this compound and manually reposition the dishes to intercept the satellite signal. Gaining access to enemy communications would give Jon and his team a tactical advantage over the enemy, as well as possible intelligence on his brother, Robert. We’d like to give everyone who registered for the beta a big THANK YOU. You have to throw away everything you know about the series, since Sniper Ghost Warrior 3 is a redefinition of the franchise developed from scratch and with a much-higher budget. This beta includes two single-player missions from the beginning of the game, and is just a glimpse of what you’ll experience in the full open-world game. Every bit of feedback you give is invaluable to us, and we’ll listen closely to all comments. We’re committed to making Sniper Ghost Warrior 3 one of the best games you’ll play this year, and will do everything we can to meet your expectations. It’s a real treat to know the game will soon be played by so many of our fans. Sniper Ghost Warrior 3 beta goes live today and ends on February 5th. You can still sign up for the PC beta right until the end of today right here. Sniper Ghost Warrior 3 launches on the PlayStation 4 system, PC, and Xbox One on April 4th.